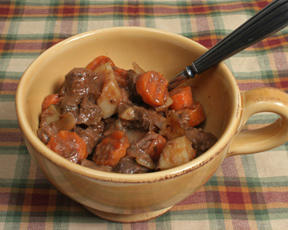 Put meat in bottom of crock pot; layer potatoes, carrot, celery, onion on top of meat. 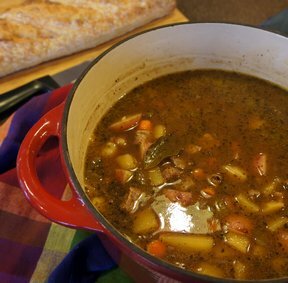 Mix 2 cans of soup with 1 can of water and pour over meat and veggies. Add salt and pepper to taste. Cook on high all night or all day. 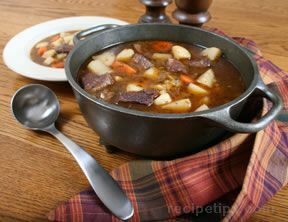 This is a delicious stew.